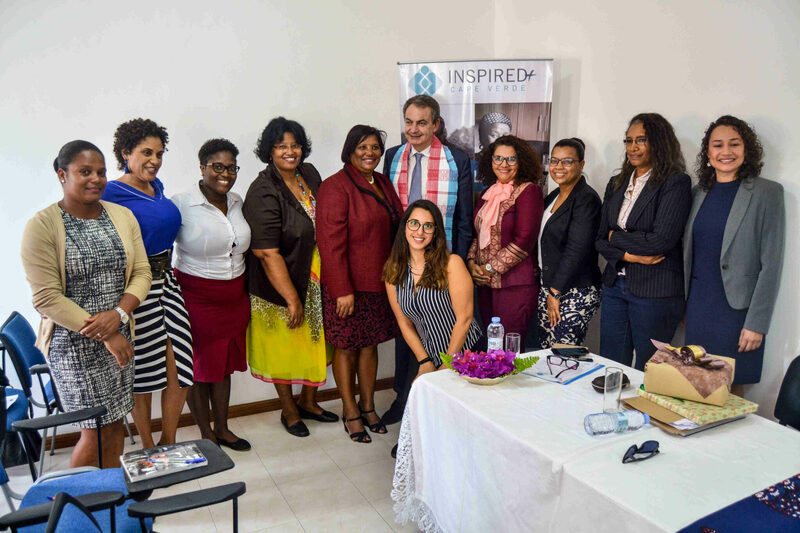 All of Cape Verde had their eyes on the INSPIRED+ project last week, as Club de Madrid member and former Prime Minister of Spain José Luis Rodríguez Zapatero travelled to Cape Verde to talk about the inclusion of domestic workers in the regular economy. Find out more in this video. President Zapatero’s first stop was the local implementing partner of INSPIRED+ in Cape Verde, Associação Cabo-Verdiana de Luta Contra a Violência Baseada no Género (ACLCVBG). In Cape Verde 94% of domestic workers are women, and only 10% of women are covered by social security. To President Zapatero, their exclusion is not only a labour problem, but also a gender problem. Given his strong support for gender equality, he decided on the spot to become a member of ACLCVBG to support them in the implementation of INSPIRED+ Cape Verde. After visiting ACLCVBG, President Zapatero gave a speech at the University of Cape Verde and visited the local NGO Safende di Nos, where he talked to women who had suffered from gender violence. Thereafter, he met with the President of Cape Verde and a number of government Ministers to talk about INSPIRED+. He shared his experience with regulations on gender equality and women’s inclusion in the social security system. He recommended improving funding and setting up courts for victims of gender-based violence, as well as increasing support for NGOs working on gender equality. In addition, he urged the President to regularise domestic work and bring social inclusion to workers.